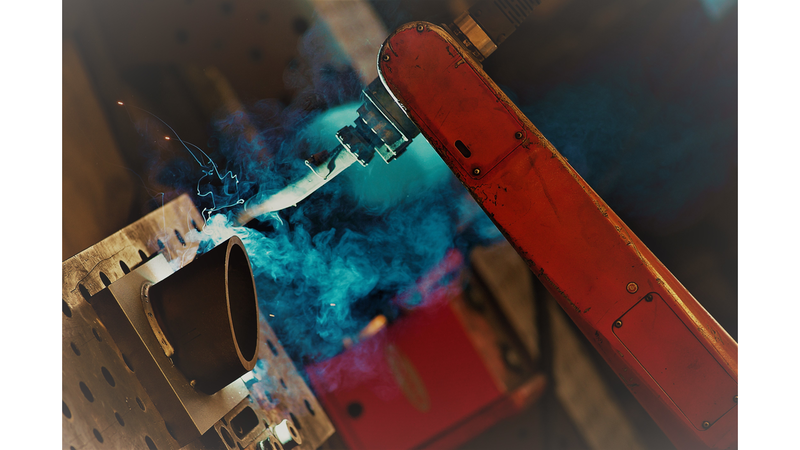 Together with the specialised welding engineers, our welders, which have mainly been trained in-house, are achieving optimum quality in MIG, MAG, WIG, arc, UP and autogenous welding. We are working assemblies with a weight of up to 50 tons per unit for industries like steel construction, apparatus engineering or mechanical engineering. The employed robot welders are achieving big rationalisation effects even in single-item production. Kinkele is a specialised company in welding and meets the requirements of the "Comprehensive qualification record" according to "DIN EN 1090" as well as "DIN 18800-7:2008-11". Moreover we have an upgrade certification for welding CrNi steel and we have approvals for German Federal Railways, German Armed Forces and HPO pressure vessels. Thus Kinkele is considered as an experienced and performance-oriented supplier and partner in job-order manufacturing for steel construction, apparatus and plant engineering, as well as in mechanical engineering and materials handling.